As humans start to turn to more unique ingredients to improve their health, they also seek the same for their loyal companions. Some of the more popular natural and holistic products and ingredients to hit the shelves recently include bee products, such as bee venom and bee pollen. Bee products for dogs are a great alternative to products filled with chemicals and toxins. 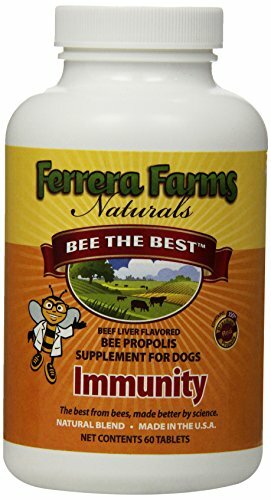 What are bee products for dogs? Natural bee products are said to have a wide variety of benefits for both humans and animals. Some studies with humans have shown a lot of positive effects from bee products: sclerosis, treatment of wounds, and even serving as anti-cancer treatment. Although research of bee products for dogs is still lacking, there is some evidence that these can be beneficial to dogs in some cases, such as stimulation of cortisol in arthritic dogs and helping with canine intervertebral disk disease (IVDD) with no side effects. There is a huge variety of ingredients that can be considered as “bee products.” Some of those include bee pollen and bees' wax, brood, venom, propolis, royal jelly, and the most popular bee product – honey. Most of these have been shown to have positive effects. With so many products that are dangerous to dogs on the market today, many companies are switching to natural ingredients instead of chemicals and artificial stuff. This is good news for pet owners who are into holistic veterinary medicine and alternative treatments. Pet owners can find all kinds of bee products for dogs on the market today including dog shampoos, ear cleaners, lotions, itch solutions, dog wipes, shed control sprays, balms, salves and supplements. While these aren't easy to find in your local pet stores, they can be easily purchased online. Burt's Bees is one of the most well-rated retailers online. 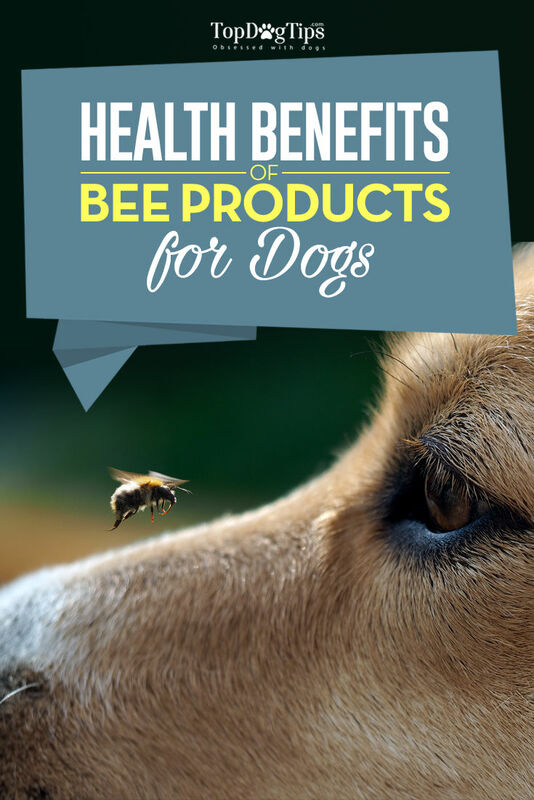 If you're considering giving one of these bee products for dogs a try, check out our compiled list below to learn more about how it can help your pup and how to use them. Bee venom, also known as apitoxin, is the venom that a bee ejects when they sting something. This is what causes pain when you get stung. When bee venom is used in applications for medicine and health, it won't have the same effect. Bee venom is used in humans for nerve pain, arthritis, and more. In animals, bee venom is used for similar purposes. When using any type of alternative medicine, especially those that haven't been studied for that long, keep a close eye on your dog and be sure to consult your veterinarian beforehand. Definitely talk to a vet if you have any serious concerns or notice side effects such as difficulty of breathing. As with any medications for dogs, if your canine has another medical condition, check with your vet to see if he can even tolerate bee products for dogs and if it's a good idea to try them. This is especially true if your dog is taking other medications, as drug interactions between medications and bee venom is not well known at this time. Bee pollen is made up of flower pollen that has been collected by bees. When mixed with the bee's unique enzymes, it becomes bee pollen. 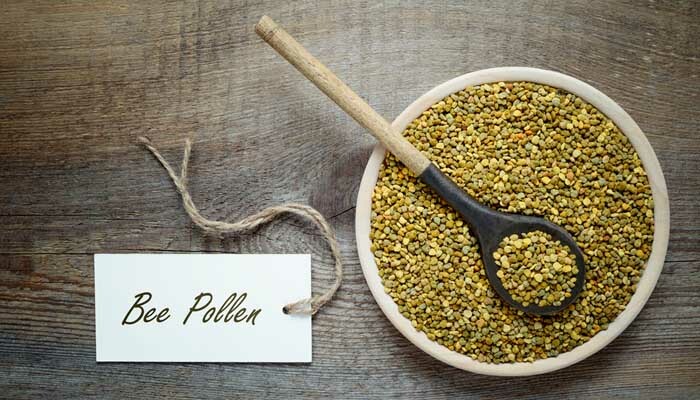 Bee pollen is easily absorbed and digested, making it a good choice for oral ingestion and is one of the most popular bee products for dogs, cats and many other animals and of course, humans. In fact, bee pollen is used for a ton of ailments in people, including malnutrition, PMS, bleeding conditions, and more. In your dog, it can be used for nutritional supplementation, allergy relief, improving digestion, and many other things. There are no known side effects when it comes to using bee pollen. However, it also hasn't been studied for too long on canines, so it doesn't necessarily mean that it's completely safe or very effective. Although, some dog owners report anecdotal evidence of bee pollen curing their dog's allergy and improving their skin, coat and digestion. Dr Harvey has wrote about bee pollen many times before, and so did other veterinarians. The biggest concern is having an allergic reaction, but this seems to be a very rare case. If you or your pet has a severe allergy to pollen, talk to your doctor (yes, your GP) as well as your veterinarian before using it in your home or as a supplement for dogs. That aside, giving bee pollen to your pet by mouth is considered relatively safe and is recommended by some veterinary professionals. Remember, just like with bee venom, check with your vet before giving your pooch this nutrient, especially if he has a medical condition or takes other medications. Just like other dog supplies, including dog food and dog treats, you'll want to do some research before you make a purchase of any type of high quality bee products for dogs. Unlike some foods and medications, the use of bee ingredients is not tightly regulated by the FDA, meaning you could end up with a sub-par quality product. There have been numerous reports of scam supplements (for people) advertised as “miracle” bee products. To avoid getting scammed, stick to trustworthy, reputable brands that specialize in the care of animals, including canines (I've listed some below). These brands should have good reviews from both veterinarians and general consumers, and there shouldn't be a spotty history filled with complaints, lawsuits, or recalls. Always read what others say. Another sign of a good brand or high quality bee products for dogs is complete transparency in the labeling of those dog supplies. The product should list all the ingredients right on the box, and instructions for use should be clear and concise. The product's box should also include information for the company, including how to contact them for questions or concerns. Remember, if a company has nothing to hide, they'll be open about their product and what it does. Feeling confident and ready to use bee products to avoid all the chemicals and improve your pet's health? I have a few of my favorite products with bee ingredients. I've already mentioned Burt's Bees above, but here are three more options to consider. Springtime is a well-known brand of natural supplements for dogs and other animals, including horses and cats. 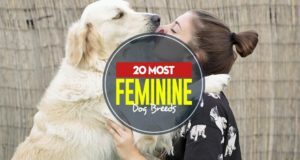 One of their products is just straight-up bee pollen, made specifically for dogs. Their product comes in two sizes – 3 pounds and 12 pounds. The company's clear and specific instructions ensure you'll know how to include this whole granule bee pollen into your dog's diet, whether you add it to wet or dry food. Springtime has been manufacturing their bee pollen for over 30 years, and each batch is carefully tested for heavy metals, pesticides, and other contaminants before it reaches your pup. If you aren't comfortable giving your dog injections or simply can't afford it, this bee venom ointment from VeneX is a good alternative. VeneX is one of the biggest bee venom brands on the market, and their products are well-respected in the field. They make products for human use, but some of their offerings can also be used on dogs. This particular ointment is best used for its anti-inflammatory properties. A very small amount of the ointment is used and rubbed into troubled area. The ointment is water-based, making clean up easy and worry-free. Ferrera Farms' supplements are 100% natural and made in the United States. They have their own bee farms and use products acquired from their hives. This product is a supplement that includes a variety of ingredients for immunity. The supplement was formulated by veterinarians using only natural ingredients that have been shown to help boost and maintain a healthy immune system. You'll find bee propolis, echinacea, omega-3 fatty acids, vitamin C, and green tea extract in Ferrera Farms Immunity Supplements. If you want to try to give your Fido a health a boost, bee products for dogs are something you may want to consider; however, I would not depend solely on them and would definitely recommend consulting with a veterinarian. Most bee ingredients and bee products for dogs are fairly new. And even though these nutrients have been in use for many centuries, with some people experiencing a lot of success using things like pollen and venom with their own pets, we still need to see evidence of their efficacy and safety. So be careful out there, and do your the research!